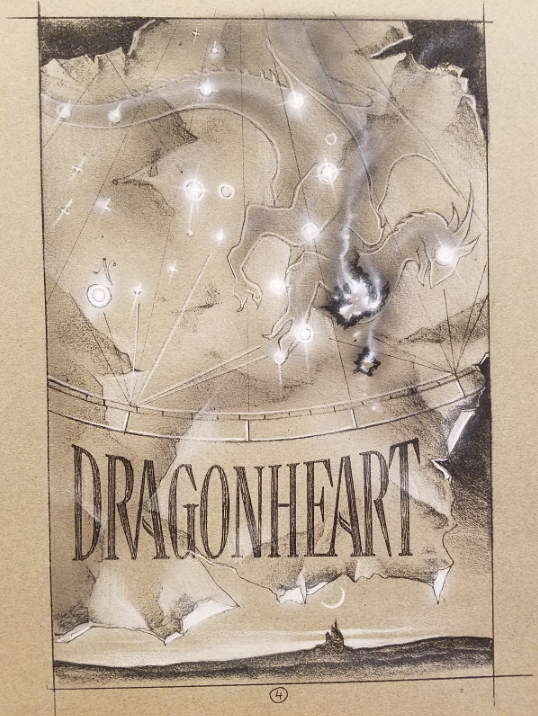 Dragonheart Constellation Poster Concept Art Graphite on Paper by John Alvin is concept art for the poster campaign for Rob Cohen's 1996 fantasy film. 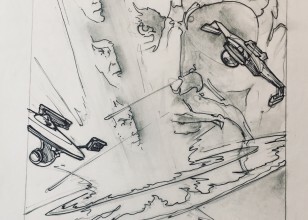 John Alvin, artist who painted the posters for E.T., Blade Runner, The Lion King, and 200 other films, worked on Dragonheart, where he created concept art for promotional material. 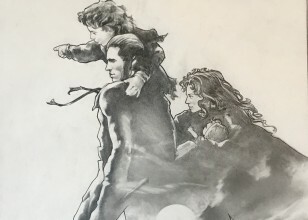 This poster concept is one of those pieces. The beautiful constellation of a dragon set against the sky is a gorgeous design. This rare original work is a treasure for any Dragonheart or fantasy film buff!